If you cannot get safe mode then you should be able to use the power button to get to Troubleshoot. Press and hold the physical power button until the system powers off. (about 8 secs) Do this twice and on the third time it should start the Troubleshoot screen. Then use the command prompt to enable the built in administrator account. Using:... 28/02/2017 · Hello, I am using windows 10 but I forgot my login password. I need to open the Command Prompt but I don't have any bootable file to repair. 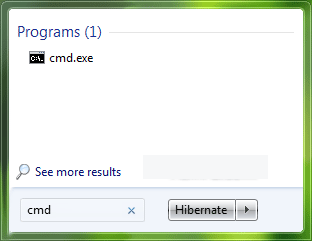 Is there any key/short key that will open Command Prompt when my pc is locked and without repairing from boot. How to Launch Command Prompt or Other Programs Using “Ease of Access” Button at Login Screen in Windows Vista and Later? Recently an AskVG reader "zydrius sMiLe" contacted me and asked me how can he remove or hide "Get help" button from Windows Explorer's Command Bar (aka Folder Band or Toolbar) in Windows 7?